Bashundhara Group, a leading industrial conglomerate in Bangladesh, has signed a deal with Baba Rafi Group to open famous Indonesian Turkey Kebab in Dhaka. Additional Managing Director (AMD) of Bashundhara Group Safwan Sobhan and chief executive officer of Baba Rafi Hendy Setiono have signed the deal at the conference room of Daily Sun, East West Media Group Ltd.
At least 10 outlets of the chain shop is going to open in the capital. The outlets will be opened at Gulshan, Banani, Dhanmondi, Baily Road, Bashundhara City and Purbachal 300 feet road in the capital. This fully Halal Kebab outlets will be opened for 24 hours, said Setiono. ‘Kaler Kantho’ editor Imdadul Haq Milon, Kaler Kantho advisory editor Amit Habib, Media adviser of Bashundhara Group Abu Tayeb, AR Rashidi, Senior Adviser of Bashundhara Group and high officials of both groups, were also present at the deal sign proggrame. Bashundhara Group will introduce the world’s biggest kebab chain ‘Kebab Turki Baba Rafi’ in Bangladesh to satisfy the local food lovers with premium Kebab delicacy. 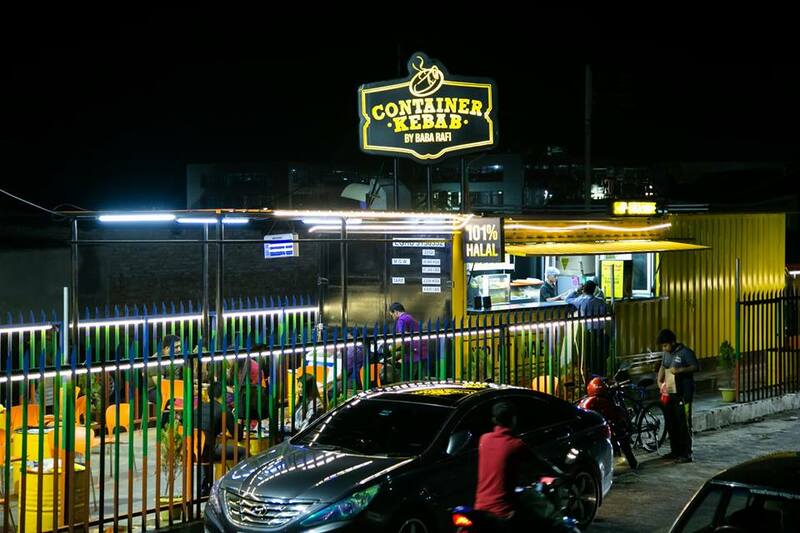 Globally-recognised In-donesian food chain Kebab Turki Baba Rafi operates 1200 outlets in more than eight countries, including Indonesia, Malaysia, the Philippines, Singapore, Brunei, China, Sri Lanka, and the Netherlands. 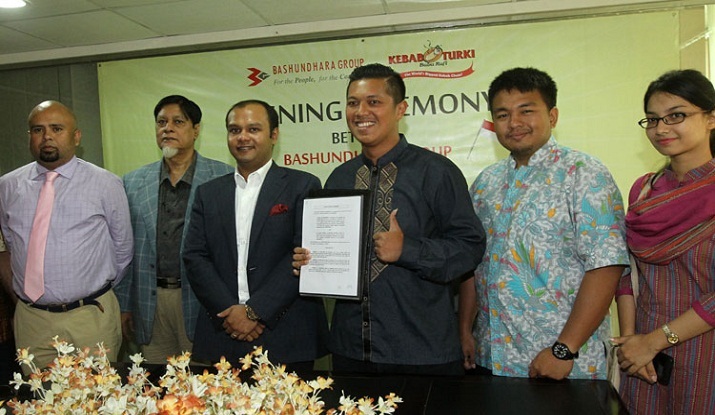 Bashundhara Group signed a franchise agreement in this regard with the Indonesian food chain at the conference room of daily sun at Bashundhara Residential Area in the capital on Saturday. Safwan Sobhan, Additional Managing Director of Bashundhara Group, and Hendy Setiono, CEO and Founder of Baba Rafi Enterprise, signed the deal on behalf of their respective sides. Initially, 10 Kebab Turki outlets will be opened in Dhanmondi, Gulshan, Bashundhara City Shopping Mall, Bailey Road, Banani and Purbachal 300 feet highway, and more outlets across the country will follow. The Kebab Turki outlets will offer 100 percent Halal foods 24 hours a day. Imdadul Haq Milon, Kaler Kantho Advisory Editor Amit Habib, Bashundhara Group Senior Advisor (Research & Development) AR Rashidi and Baba Rafi’s International Manager Poetro Ligad Wundriro were also present at the deal signing ceremony. Hendy Setiono said Baba Rafi will provide all necessary support to launch the kebab chain outlets in Bangladesh. He also said the new venture will help create jobs in Bangladesh.